Do you have a drone and drone project which you cannot handle by yourself? Are there not enough of your colleagues or service providers? Do you have several drones, UAVs, multicopters and RC helicopters which have to be piloted simultaneously in different locations? Are you looking for flexible drone pilots around the world? Do you have a job abroad but do not have the necessary licences and permits? We are familiar with all of these problems – That is why offer you flexible, reliable and highly qualified drone pilots around the world! Depending on the project, we fill the demand with our internal UAV pilots or draw on our global network that has built up over the years. In many projects, flying experience and professional control capabilities are necessary for implementing UAV deployment safely and successfully. Our drone pilots boast licences and registrations in almost all of Europe and enjoy insurance protection around the world (third-party liability and, if necessary, also fully comprehensive). The successful completion of international projects is therefore feasible with any problems! Our in-house multicopter pilots started their flying careers in their adolescence. The foundations for controlling a UAV were laid in model racing, and technical expertise has been built up to turn it into a profession today. Since 2009, our pilots have completed countless flying hours every year in international projects. In-house training and regular further development of our pilots ensures top quality. 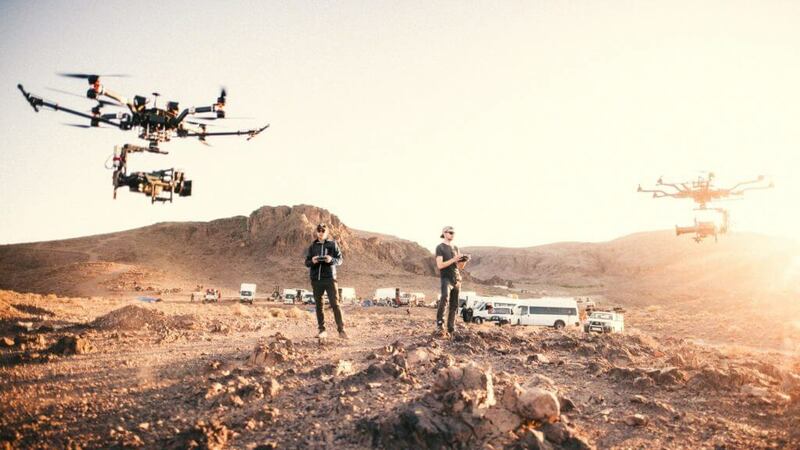 We know the drone pilots from our network personally from a large number of projects. We place the strictest demands on control capabilities, reliability and also safety, and we solely deal with pilots who are able to meet these stringent demands. We would also be delighted to advise you concerning feasibility, efficiency and technical options relating to your project. Our experience shows that close dialogue with customers, partners and stakeholders from the outset is key to project success.